Fall in love in Sweet with Heat: Bayside Summers, where sandy beaches, good friends, and true love come together in the sweet small towns of Cape Cod. Sweet Passions at Bayside is the second book in the Sweet with Heat: Bayside Summers series by Addison Cole. I was so excited to see that Emery moved to Bayside. She adds to the fun. She's pretty free-spirited, but I think some of that may also be self preservation, because she thinks she ruins relationships. So, if she doesn't expect much, she can't be disappointed. When something real presents itself? Well... she doesn't see it. Dean is steamy. His smolder seeps off the pages. Especially in the beginning... he melts the pages. I like this guy. Also, I love this kind of story. Best friends to more is my favorite scenario to read about. I love all the build up and risk. This story really keeps it all building too. I couldn't get enough of these two! Sweet Passions at Bayside by Addison Cole was kindly provided to me by the author for review. The opinions are my own. Check out my review of the first book in this series! 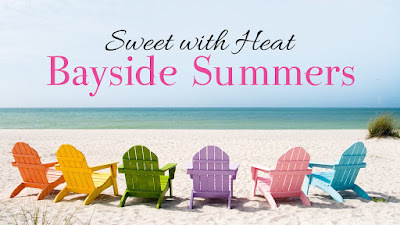 Have you read the Sweet with Heat: Seaside Summers series! 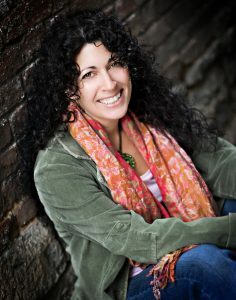 To learn more about Addison Cole and her books, visit her website.You can also find her on Goodreads, Facebook, Instagram, Pinterest, BookBub, and Twitter.